Whoa there’s a whole load of bag stuff going on here this week! I spent quite a while browsing Sara’s shop, her bags are stunning but many of them are quite smart/classy/formal which to be honest is not really my style! 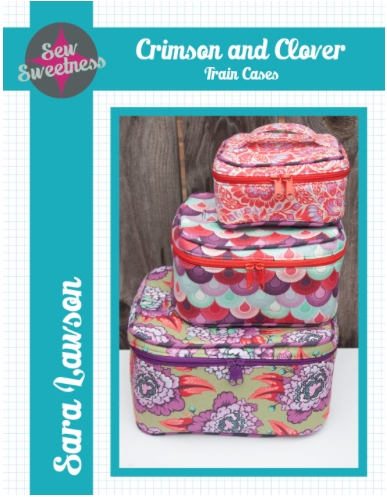 So I opted for the patterns that I am more likely to make for me and or my children to use. 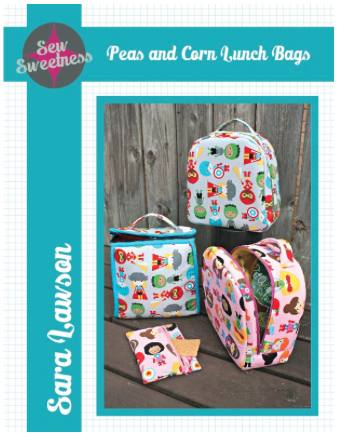 I’ve made a few lunch bags before and I don’t suppose it will be long before another one is required. 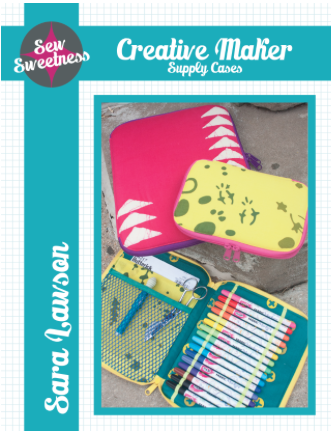 I love the idea of these Creative Maker cases and I’m already thinking about making some for Christmas. 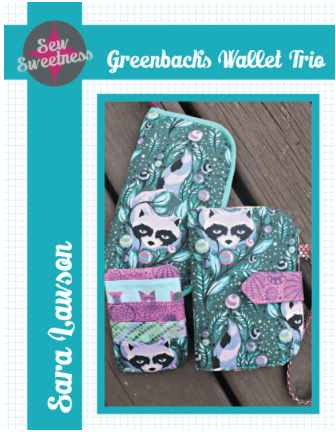 Wallets are a handy, relatively quick make, I’m looking forward to trying this one out. I like the look of both these bags, they’d be great for travel (I don’t do much of that but one day maybe I will!). 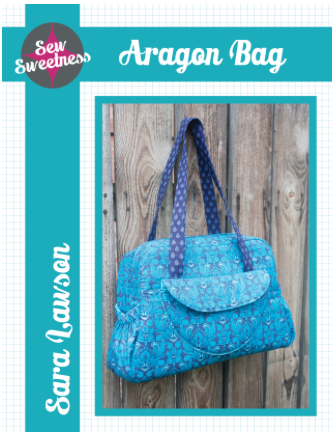 What is really great about these patterns is the in-depth instructions, photo’s and the different versions that have been made by Sara’s testers. 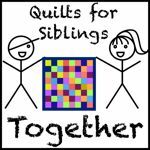 Thanks to Heather for hosting and thanks to Sara for sponsoring and all the other sponsors, next years host will be Alyson and I imagine I’ll have another quilt or 2 to link up. Yes it’s Preppy the Whale. All proceeds from the sale went to the Oregon Humane Society – I’m happy to help cats and dogs in this way. 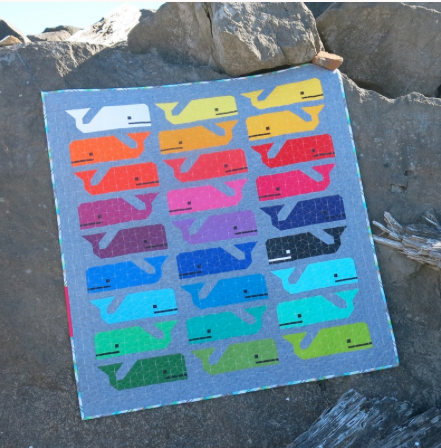 I have someone in mind for this quilt, I just need to do a fabric pull…see you later! Those are some great patterns you’ve got there. 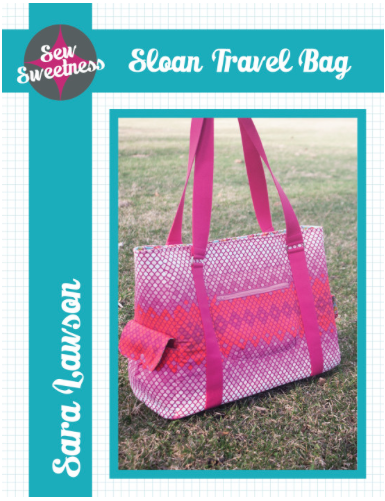 I just picked up a fat quarter of the Tula Pink fabric in the sloan travel bag and I love all those little bags up near the top.